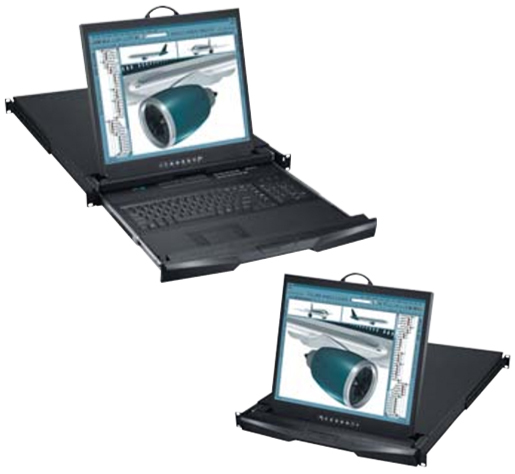 The N119 is a 1U Rackmount LCD Monitor with 19" LCD. The keyboard is a 104 key notepad keyboard with touchpad or trackball. The N119 series is also known as the N-119. The N119e comes with an integrated touchpad, while the N119b comes with an integrated trackball. Question: i have this model N119b with the two button touchpad, how can i enable a third button (middle)? Unfortunately Cyberview does not have a driver available to enable the middle button - it is used in the Sun Solution model can use middle button for trackball (NS119b). Question: Can this be mounted in a two post rack? We do not currently have that kit online, but please feel free to contact your KVM Switches Online sales representative directly for a pricing quote.